Don't worry - tomorrow's gonna be worse (the backstory) - … catching light in motion! “The airport is closed.” How can a whole airport shut down? There’s things you can anticipate when you work and travel. And then there’s airports grinding to a halt. It’s around noon, when the radio confirms, what we’ve been expecting: the unending snowfall has grounded all air traffic in Kabul. I’m stuck. 8,000 miles from home. I planned, pre-produced and played through every “worse case scenario” I can come up with over the last 6 months and now–the day that I’m supposed to leave–the airport shut’s down. Literally buried in snow. It’s January 2012 – I’ve been filming my first documentary film in Afghanistan and I’ve been dealing with -25º temps and 10,000 foot high shooting locations (I normally live at sea level, so working in ten thousand foot high valleys is just a wee bit of an adjustment for my body). All of that has run smooth, bought the right expedition grade cold weather gear, brought portable heat to keep the cameras warm, ect. But how do you plan for an international airport shutting down – I’d understand the shut down, if I were home and Miami International would get dusted in snow, but it snows in Afghanistan every year. Shouldn’t they be ready for this? Turns out it’s a massive blizzard that’s paralyzed the city and the airport – and my plans for getting back home. I’ve missed flights before, you just hang around for a few hours and get on the next plane. However nothing is leaving Kabul International Airport today. The worst part is that my Delta flight from Dubbai takes off on time (since it’s not snowing in the UAE ) to Atlanta, without delay (and without me) and since that flight left without an issue, my concern is that I now have to purchase another full fare ticket to get home. Well actually it turns out that’s not the worst part. Safi Air has three flights scheduled to fly out of Kabul today and none of them are going. You know what that means? That means that tomorrow everyone who got stuck in Kabul today, will try to get on one of the three flights tomorrow – and tomorrow’s flights are already fully booked, with the people that were supposed to travel tomorrow. Unless the airport doesn’t open again tomorrow, but what are the odds of that happening, right? We hop in the truck and drive the hour it takes to get to the Safi airlines office. After another 60 minutes as my friend negotiates with the airline rep and I finally have a piece of paper that says I am booked on tomorrow’s flight to Dubbai. 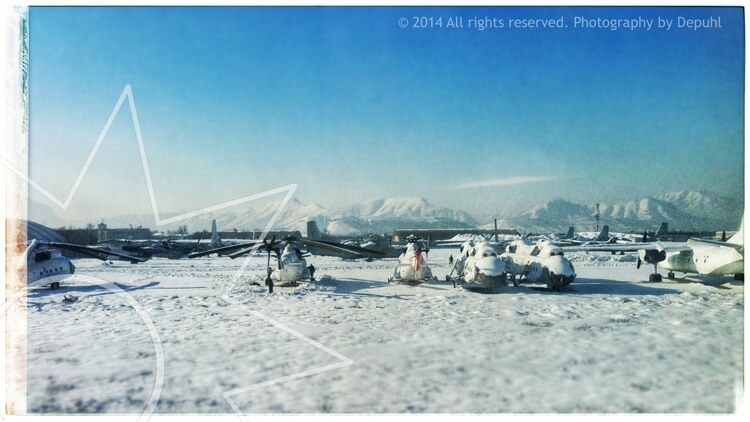 On the way out to the truck I tweet @deltaassist “Snowed in @Kabul. Missed Delta flight. Please rebook for tomorrow” The response is almost immediate. Delta answers me on Twitter: “Done!” I love technology. Read how I got out of the blizzard (and what you can do to plan for events like that) tomorrow on ASMP’s blog Strictly business.